A&W Compressor is your source for air compressor parts, accessories, and equipment in Murfreesboro, Tennessee. Whether you’ve been using a compressed air system for a few months or many years, having access to the parts you need when you need them is essential. 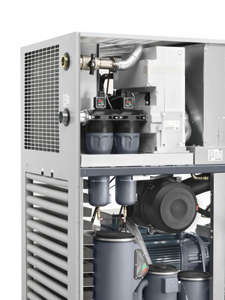 At A&W Compressor, we stock a large inventory of parts and accessories from many of the leading manufacturers, including Atlas Copco. We can help you find and replace the components you need to keep your equipment functioning flawlessly. Whether you know exactly what parts you need or would like help troubleshooting and fixing your equipment, A&W Compressor is ready to help. Our technicians are factory-trained and highly experienced in working on all makes and models of air compressors. We can perform air audits, provide regular maintenance, and respond quickly to emergency breakdowns to maximize the efficiency and productivity of your business in Murfreesboro, TN. We also offer equipment rentals and sell new, used, and refurbished air compressors and related equipment to make sure all of your compressed air needs are covered. Plus, with our upfront and no-hassle contracts, you can be confident that you’re receiving honest service for a fair price. Your best source for air compressor parts, equipment, and service in Murfreesboro, TN, is A&W Compressor. Contact us today to speak with one of our knowledgeable technicians.